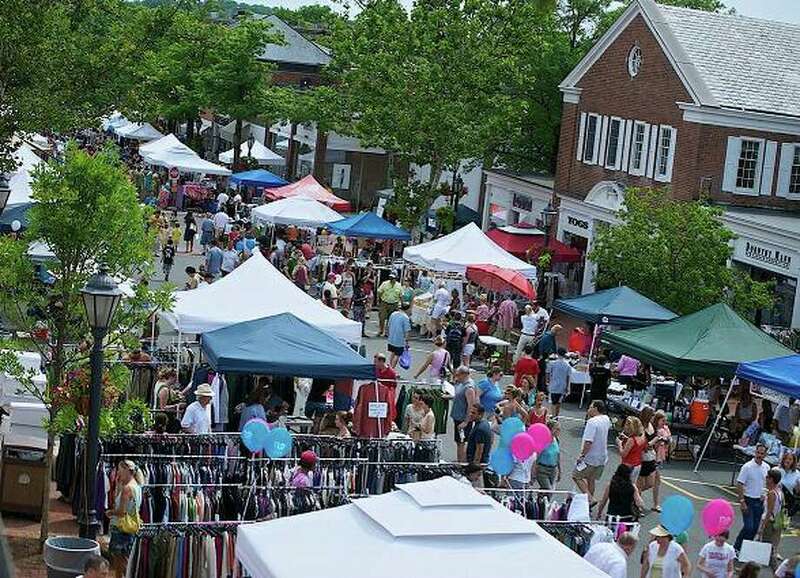 The annual New Canaan Sidewalk Sale took place this past weekend. Thousands flocked to the streets for good deals and fun. Photo by Henry Eschricht. The New Canaan Village Fair and Sidewalk Sale took place Saturday. The festivities offered visitors bargain shopping, dining and entertainment. Check out our photos.